"Aren't You Worried They Will Hit Each Other With Them?" 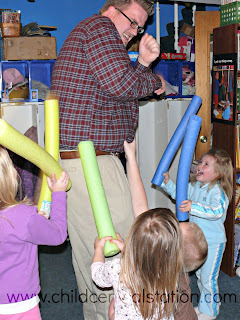 "Oh, I could NEVER use those, my kid would be hitting each other over the head with those!" "How do you keep them from hitting each other or using them as swords?" "My kids would be fighting with those, there is NO way I could use those in my classroom." Seriously folks.... my children are not "angels," they are really not that different from yours. However, what is different is my approach. 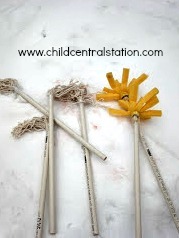 IF children are using things in ways that are of concern we have to stop and ask ourselves... WHY? What developmental need are they trying to fulfill that we are not sufficiently meeting? 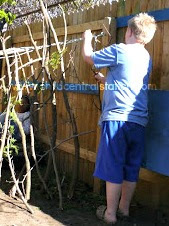 If children are using sticks and large paint brushes as swords and hitting each other, the answer is NOT to take away the learning experiences, but to find safe ways for children to rough house, and remind them of the safe options if/when they choose to use other materials in those situations. "I can't let you use this paint brush to 'fight' with your friends, I'm afraid someone would get hurt. BUT, If you both want to sword fight, the pool noodles are over there." Simple solution, and everyone wins. Pool noodles are made from foam. They are soft, inexpensive and somewhat difficult to control. The children have an opportunity to meet their need for rough housing in a safe and developmental way, and you don't have to be concerned about someone's eyes being poked out with pvc pipe or a stick. After a little time passes, children will choose safe materials and assess their own risk without you having to jump in. If you provide the proper resources and a safe environment, the "dangerous" toys like giant paint brushes and sticks aren't really all that "dangerous" anymore. They will even get creative in their play, creating new games and ways to 'fight' like turning pool noodles into dinosaur tails and hitting each other with them by wiggling their behind! How are you supporting children's developmental need for rough housing? I couldn't agree more! 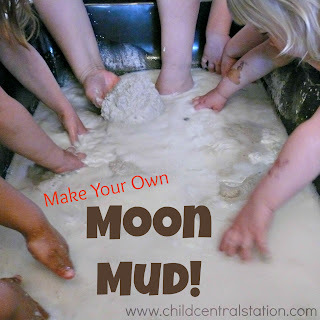 If we foster proper handling of materials, children learn to user them in the intended way. lol, love the video and the message! Let them rough house. Amy, I love, love this post! I don't have any boys in my care right now so the rough housing is at a minimum. But I will definitely invest in the pool noodles the minute I get another boy! Thanks Everyone! We sure have fun with our noodles. We have had a rejuvenated interest in them recently as I moved them to a new location. It is amazing how rearranging items tends to make old things new again! @Scott, I'm happy to provide more material! Good luck with your training! @Patrice- Rough Housing isn't just for boys! Hop on over to our Facebook page... I had 5 girls today..... and they were just as into the noodles as the boys were! Foam picture frame protectors work a treat too - great for marble runs as well!